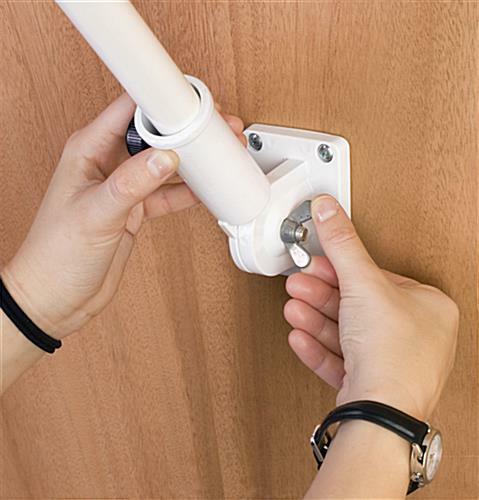 Adjustable wall bracket can change from 0° to 90°. Aluminum flag pole is meant for outdoor use. Silver swivel top adds a unique feature to an outdoor display. 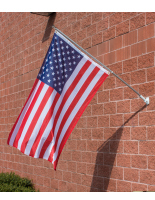 This flagpole is equipped with everything you need to hang a flag outside your business! 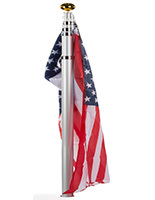 The flag holder, flagpole measures 5 feet long and includes a wall-mounting bracket. 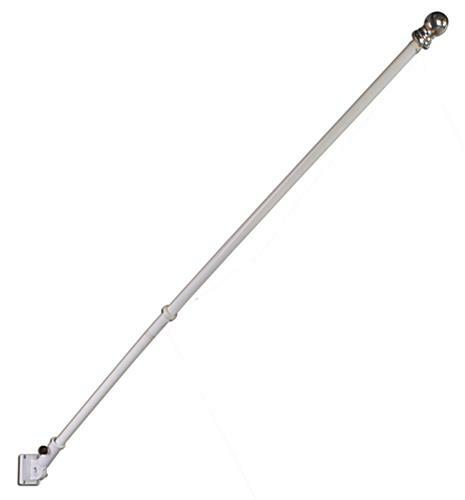 We even provide this flagpole with (4) screws for attaching the bracket to a wall or horizontal surface. (Please note, some surface materials may require additional anchors or alternative hardware.) This flagpole, also known as a flag pole display, features an adjustable holder to accommodate various-sized flags, windsocks and banners. 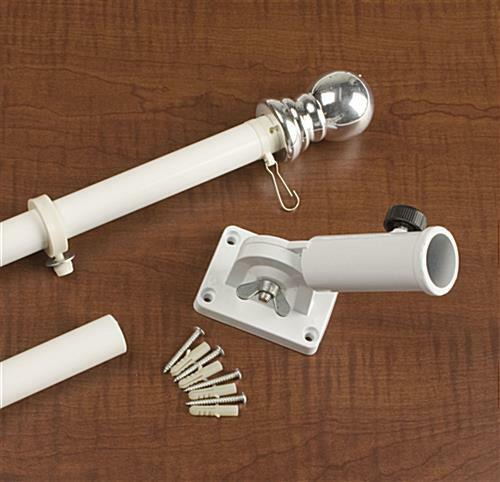 The flag pole bracket can even change from 0° to 90° in seconds! The flagpole is constructed from aluminum and features a brushed silver finish to match any building and to better showcase your displayed flag. This outdoor pole, flagpole also includes a height-adjustable mounting clip, giving you the ability to display different-sized banners. 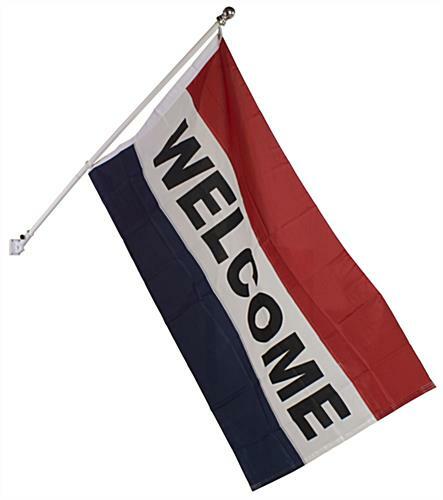 In total, the flagpole has (2) mounting clips, (1) stationary and (1) adjustable, therefore making it perfect for use with banners featuring grommets, such as our 3' x 5' message flags. We even provide the flagpole with a 1/4" diameter washer to keep your flag securely attached. 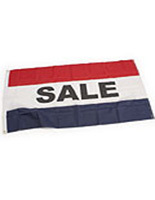 This flagpole, such as an aluminum flag pole stand, is great for displaying state flags, custom flags or even message flags outside of any business or home! 2.5" x 3.3" x 6.0"